The San Francisco skyline viewed from my studio window on Treasure Island. Color inspiration. I layered two images of the sunset taken a few minutes apart. The result reminds me of double, or triple dyed fabric. What a beautiful evening. No drawings this week just another pic. 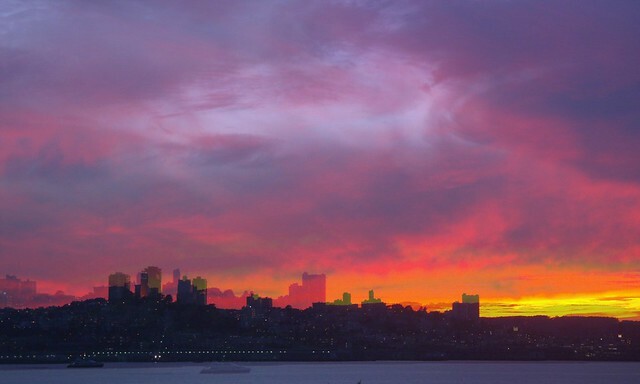 I have to add a link to this flickr gallery of the San Francisco Sunset on November 4, 2010. My image is included along with perspectives of the same sunset from different points of view across the city. Quite spectacular.